In Italy, the paths of food are infinite: there are so many typical products and dishes to taste, so many different flavors, you will only be spoilt for choice. Here is a selection of some of the most famous protagonists on Italian tables, coming from every part of the country. This type of cold cut doesn’t find a perfect translation in other languages, as it is a typical Italian product with IGP label, which certifies the authenticity of the product. Many may think it is the same as boloney, but the two have very little in common. 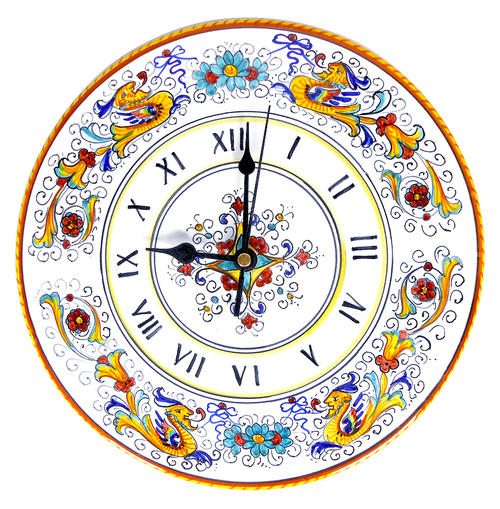 Its birthplace is certainly Bologna, where its history is deeply rooted. There are sources of literature witnessing the presence of this type of cold cut starting from 1661; being quite famous a lot of people know its aspect: cylindrical or oval and pink-colored. 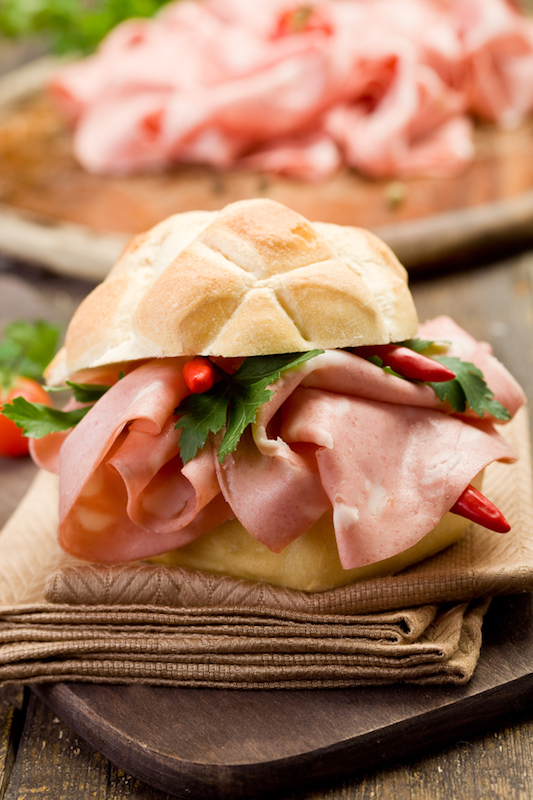 The mortadella has a delicate flavor, but an intense scent, thanks to the selection of high quality parts of meat and pork. Typical of good mortadella is also the presence in its body of full pistachio nuts. Translated as Parmesan, don’t trust imitations because the authentic one is only Parmigiano. The production of this cheese follows an ancient tradition developed and officially certified in the following areas: Parma, Reggio Emilia, Modena, Bologna and Mantova (on the right side of the Po river). 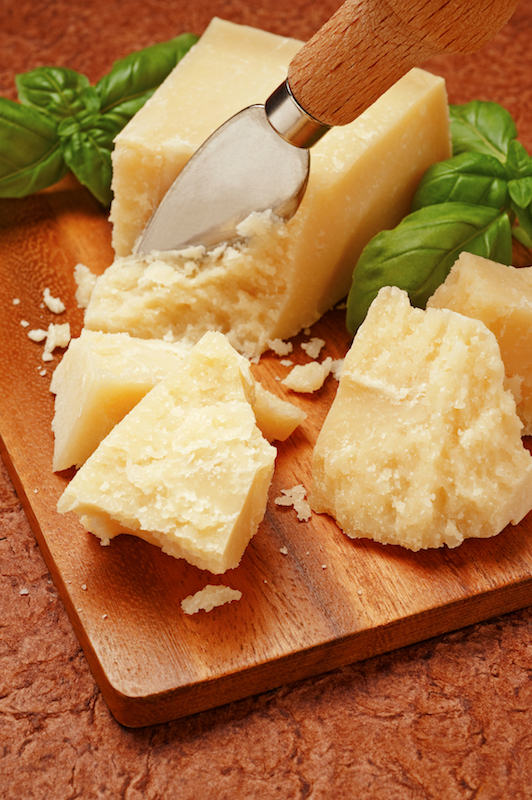 The strong, pungent taste of good parmesan is achieved through several years of aging. It is considered an eclectic ingredient in the kitchen, as it can be served as a starter with cold cuts, grated on top of pasta and as a filling in savory tarts. A lot of people eat it as a dessert with fruit (very common combinations would be parmesan and pears, or parmesan and figs) or taste it with some traditional aceto balsamico. Italy has a rich bread tradition, characterized by products created through different recipes and technique, and shaped in different forms. Schiacciata is particularly famous and it is usually associated to Tuscany; it is a baked focaccia, or flat bread, seasoned with olive oil and salt and. Though being part of Tuscan tradition there are other two types of schiacciata: the schiacciata messinese and the schiacciata catanese. They totally differ from the Tuscan one as they are filled; the messinese is filled with cheese, potatoes, broccoli, sausage, tomatoes, onions, pepper, oil and salt. The ingredients of schiacciata catanese are cheese, anchovies, pepper and olives. 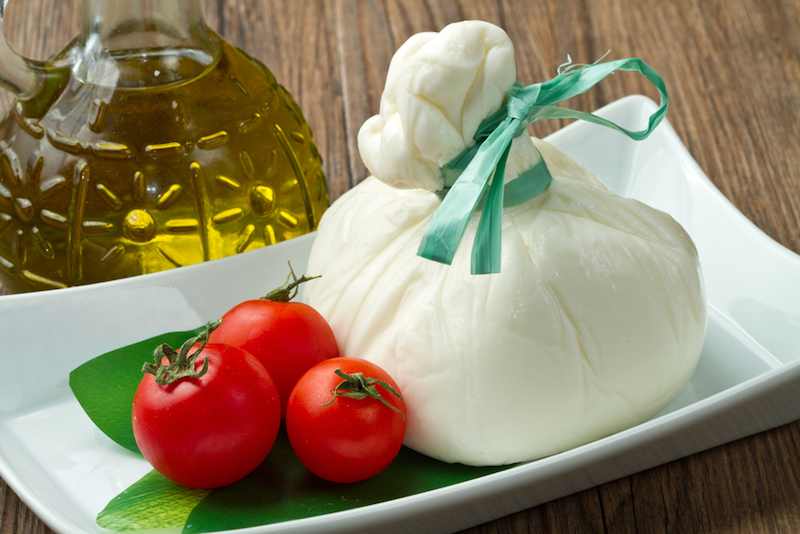 Though being imitated all over the country, the original and authentic mozzarella comes from the south of Italy; mozzarella can be made with both cow and buffalo milk. The first type is associated to several southern regions, such as Calabria, Apulia, Basilicata, Abruzzo and Molise; the second, on the other hand, is typical of Campania, and is protected by a special DOP certification to ensure its authenticity. 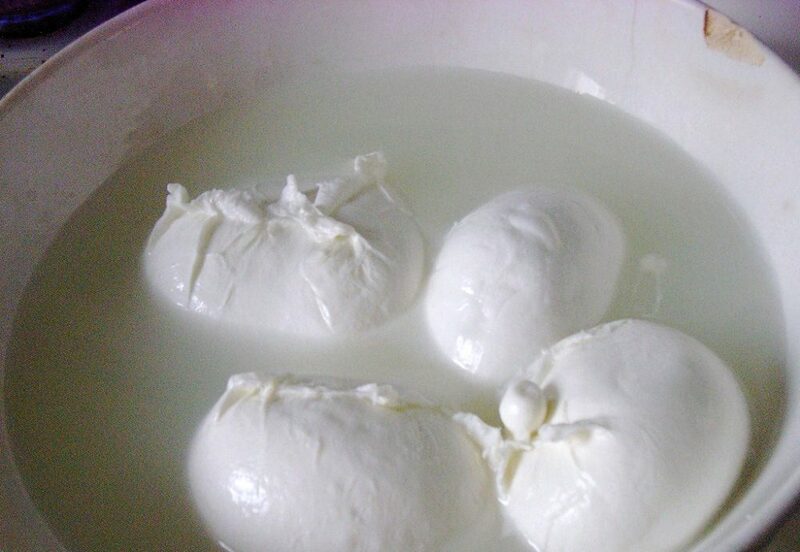 Mozzarella is characterized by a round shape of different sizes. Its consistency should be firm, but not hard, creamy, but not mushy. Good ones should ooze milk when cut. Piece of advice: never keep it it in the fridge! In order to preserve its original taste it should be left in its water and eaten fresh. It is a soft white cheese made especially in the center and south of the country. There are several types of ricotta: some are milder and sweeter, while others are more flavorsome. You can also find it “affumicata”, smoked . Ricotta is used in several ways, depending on the region of its production. The burrata is a type of cheese, made from buffalo or cow milk, linked to the region of Apulia. It is characterized by a sweet and buttery flavor; compared to mozzarella it is softer and stringy. Burrata, a special cheese typical of Puglia. 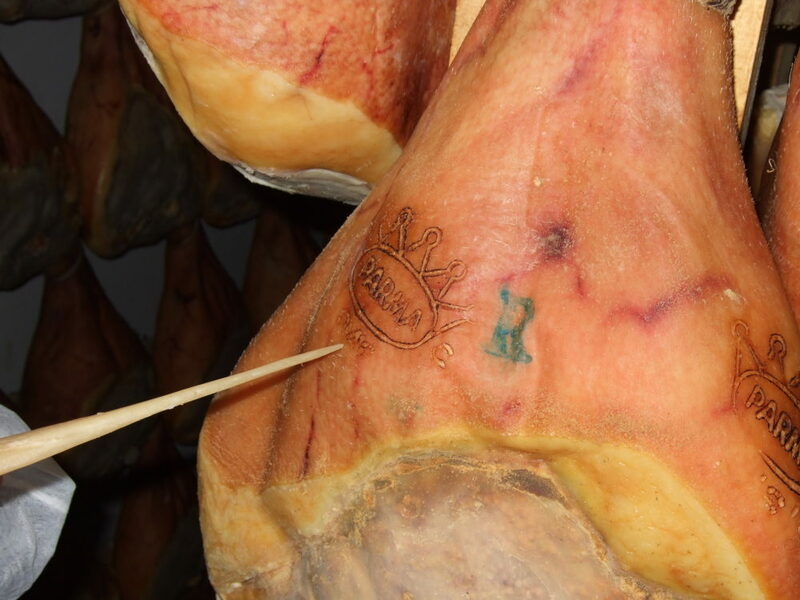 Prosciutto di Parma, Parma ham, is particularly famous in Italy. It is not considered a normal prosciutto crudo, but one of the tastier hams in its category. Though being made in the province of Parma, it is famous world-wide; the flavor of this prosciutto is quite delicate and sweet, making it different from the typically salted aftertaste other cured hams leave. Bresaola is a cold cut made from seasoned beef meat and eaten raw. Often served with rucola and parmesan cheese, it is considered a typical summer dish:it is never absent on a good Italian table. 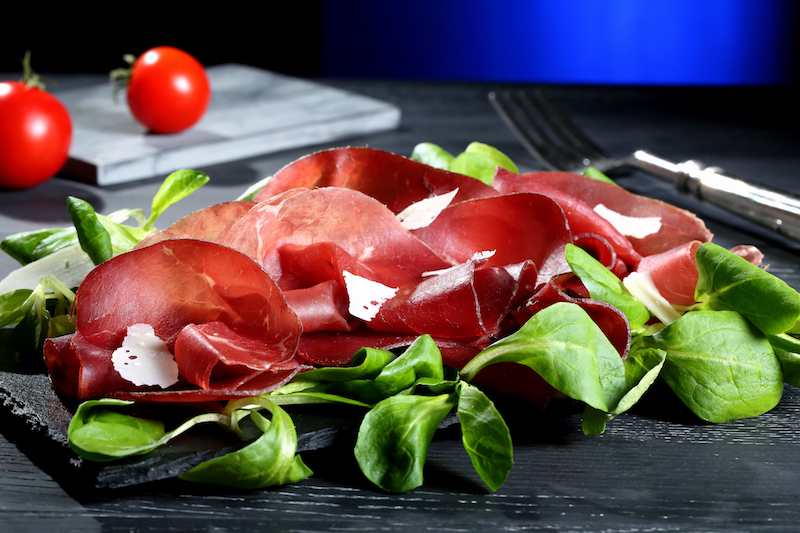 Bresaola della Valtellina, originally from the province of Sondrio, is its best known variety. Bresaola, arugula and parmesan cheese. 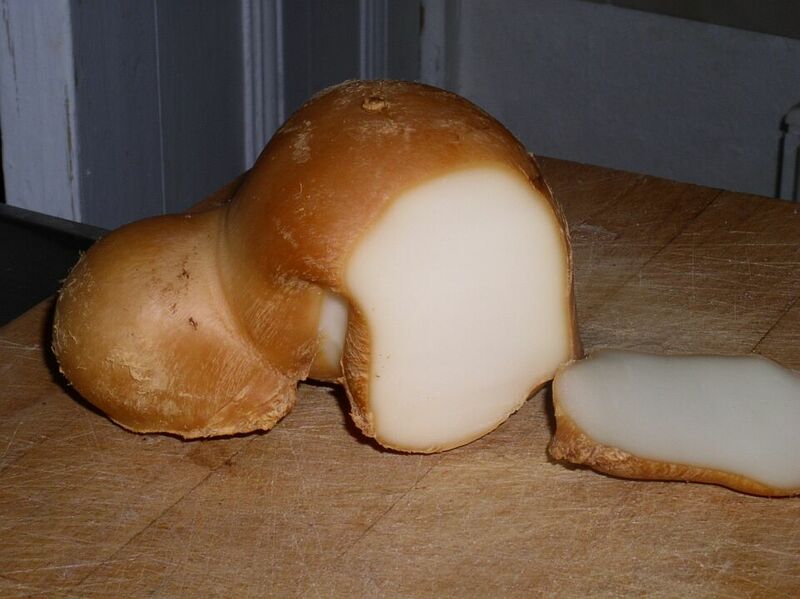 Scamorza is a pear-shaped cheese made with cow’s milk in the regions of Campania, Abruzzo, Molise and Apulia. Its skin is pliant, smooth and thin, its color ivory-like; the flavor is sweet and fresh, but ageing makes it stronger. These products can be found all over the Italian territory. Nevertheless, if you want to be sure to taste the original, it is better if you eat or buy them in the place of production. You will find them in supermarkets, caseifici (dairy factories) or botteghe, little deli shops. The latter are often the best place to buy them, as they tend to sell local, artisanal produce rather than the commercially mass-produced variety found in supermarkets. Another way to get fresh products at a fraction of the price is to buy them directly at the factory shops. 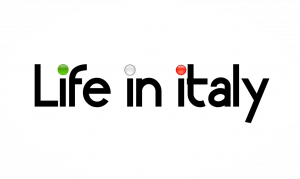 If you are abroad you can also buy them online but don’t trust imitations as there are a lot of fake sites pretending to sell authentic Italian food. All of these typical and tasty products are usually served as starters. However, they can be considered passepartout ingredients, as they can be used in a lot of dishes. They are often present on the tables of bars as snacks for aperitivo. No matter when you serve them or how you serve them, these are must-eat of Italian cuisine that will truly leave a taste of traditionally Italy in your mouth. 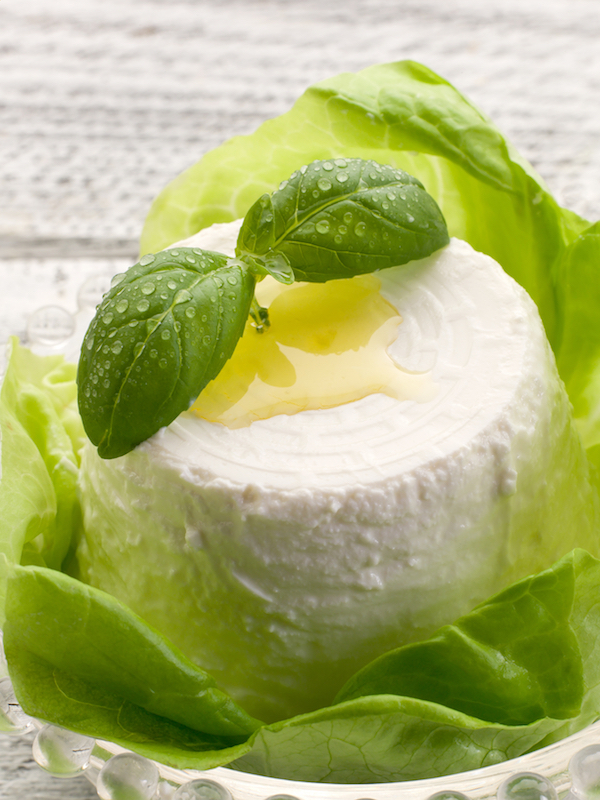 You can discover more about Italian cheeses in our food section.